Deserve to own the best recorder to capture you valuable moments. 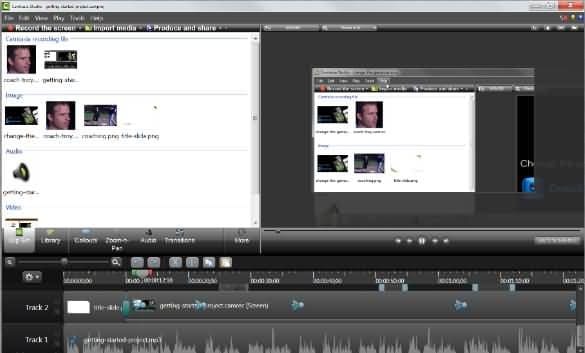 Those who have plans for recording their computer screen while playing a game or for creating any tutorial about how to use an application might have heard about Camtasia . The Camtasia for Mac and Camtasia Studio both are software suites developed by TechSmith for assisting users in creation of easy tutorials. 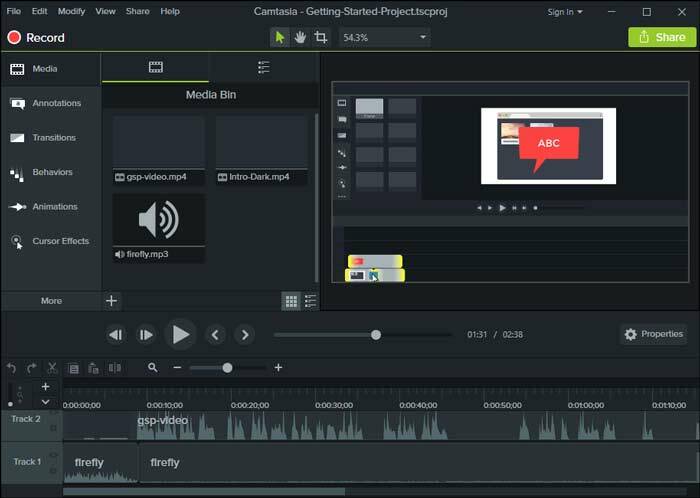 In this Camtasia review, we will talk about that it can record any selected portion of screen along with audio signals whereas facility for advanced multimedia recording is also available. Camtasia Recorder: That is a full-fledged tool for recording video as well as audio from screen. 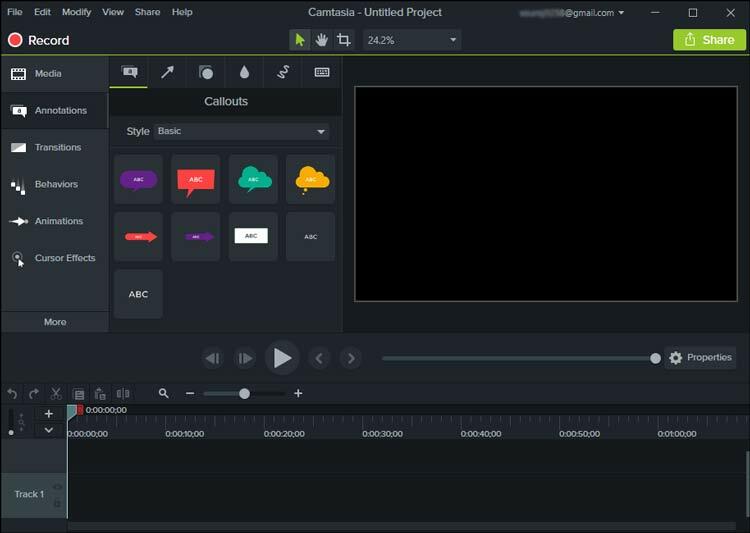 Camtasia Studio Editor: This is the major component of Camtasia software for which this product is gaining more and more popularity. It is an industry standard program with advanced timeline interface that allows users to manage multiple video clips at same time. Camtasia can be used for Mac as well as Window platforms and only one license allows access on both types of devices. 1. This tool never poses any limit over length of video file recording hence it is mostly preferred for creating various sales presentations that are usually lengthy. It is much easier to create game tutorials as well as online course tutorials using Camtasia while taking benefits of its unlimited recording length and advanced editing tools. 2. It can record anything like your computer screen, webcam, camera or voice over. Many users prefer to record PowerPoint presentations using this program. It can also assist users for recording over iOS devices. 1. It is much easier to edit files using camtasia software program as compared to all other competitors. Users can easily convert file formats or edit their footage with impressive drag and drop type interface. It also consists of so many transitions and special effects that are useful for creating interactive animations. Those who wish to develop engaging quizzes for viewers are suggested to take benefits from this software tool due to its highly creative user environment. 2. You will be happy to use its advanced editing functions like animations draw on screen, annotations, add callouts or many other useful template resources. It assists in fast video editing and provides better post processing features for all kind of videos. 3. This platform is designed to assist professionals in their routine video recording and editing needs and it is being used worldwide for this application. 1. It is much easier to import and export files on camtasia studio in different file formats. It supports all major video formats like .avi, .camrec, .camproj etc. Users can easily share their projects over multiple devices even without any bound over locations. You can connect any number of personal computers as well as Mac devices to transfer files with ease. 2. The best thing to know is that Camtasia also allow users to directly share files on various websites or social media platforms like YouTube etc. This is rated as best feature by all game lovers because it allows them to share stunning game hacks with efficient recordings and editing facilities. 3. Camtasia provides appreciable consumer support and they assist with 24 hour services for all queries. 4. There are so many tutorials available online for learning all basic as well as advanced editing features on Camtasia. The system requirement for Camtasia software is much higher, it demands high performance type PC so you cannot run it over old systems. It does not provide any free upgrade. All templates are preferably of business style and if you want to access more than definitely you need to pay more. 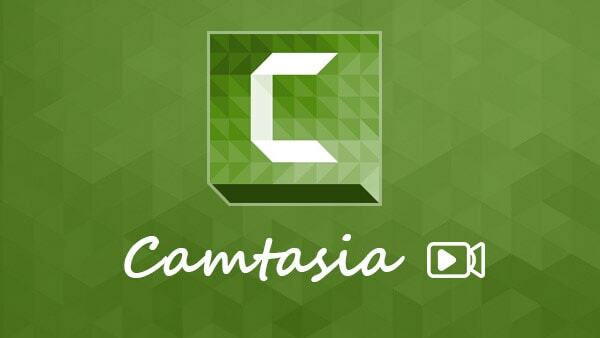 As you already know that Camtasia is available for Mac as well as Window users but the best thing to know is that you can use same license of your both devices. The single user licence is available with payment of $199.00 that provides access for Mac and Window easily. In case if you want to upgrade your software for new features then also you have to make some payment- $99.50 are essential for availing upgrades of this software. There are few special discounts available for academic and government institutes- $30 and $20 respectively. You need to use your software on Mac and Windows both. Need some advanced features like screen, drawn, annotations and callouts etc. If you are an advance user. You have a higher configuration type PC. And specifically if you have enough budget. But in case if you need software with few basic configuration and simple editing features then it is good to go for some free or open source type versions.